Daniel Loewenthal is a filmmaker, editor and a college professor. For over twenty years Mr. Loewenthal edited studio and independent feature films as well as long form documentaries. He has over 40 credits as “editor” and “supervising editor.” On many feature films and TV series he also served as post production supervisor. For seven years Mr. Loewenthal was a managing partner in a successful, award wining Los Angeles production company, where he directed, produced and supervised the editing of 200 commercial, documentary and reality projects. In 2006-2007 & 2009-2010, Mr. Loewenthal was in Cairo, Egypt as the post producer of 2 seasons of LaHazat Hariga, (Critical Moments) a ensemble cast hospital TV drama set in a Cairo Hospital. He worked on over 64 hours episodes of the Arabic language series. 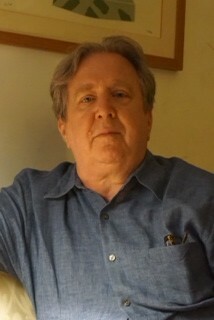 Since 2007, he has divided his time between various free-lance projects, teaching Introductory and Advanced Editing at Montclair State University in Montclair NJ, The Art of Editing at Hofstra University , Advanced Film Production at Fairleigh Dickenson and Seton Hall Universities and The History of Documentary and Independent Film at Centenary College. He has also been a guest lecturer at The School of Visual Arts. Mr. Loewenthal has exhibited his video art piece, Cosmopolis, 49 Waltzes for the World, at Montclair State University, The Montclair Art Museum and The Baryshnikov Art Center. He is still an active film editor as well, having edited 5 feature films in the past 3 years and one celebrated short, Ice, which premiered at the Tribeca Film festival. Currently Mr. Loewenthal, in addition to teaching, at Hofstra and Montclair State Universities, is editing a feature film, Good Friday, which he also produced.